I've spent a lot of this summer searching for fun, escapist reads and I stumbled across Rachel Caine's Great Library series. It's an alternate history YA dystopia full of forbidden knowledge and peril and a wee bit of romance. 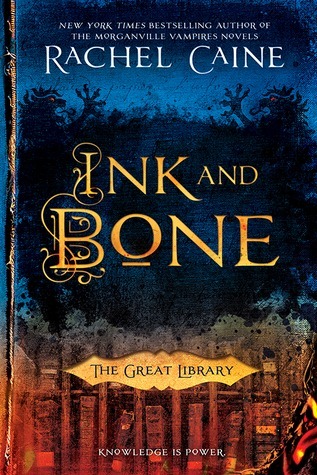 The first book in the series is Ink and Bone, the story of Jess Brightwell, a book smuggler from London who earns a place in the newest group of Great Library trainees. The Great Library (in Alexandria -- it never burned) is the ruling force of the world, keeping books and knowledge under lock and key, doling out only what they deem safe and in the best interests of the Library. Shortly, Jess and some of his fellow postulants will discover that their best interests might not be those that the Library has always dictated to them. 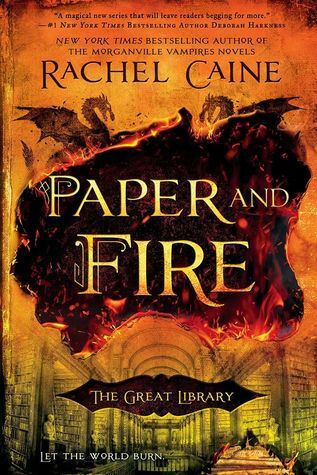 Picking up right where the first book left off, Paper and Fire follows Jess and friends as they become scholars, soldiers, and captives. However, the more information that they are exposed to, the more they are determined to help the Library become what it should be--a beacon of light and knowledge--rather than a scary, totalitarian regime. I sped through these books. Seriously. I couldn't read them fast enough. 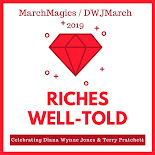 They're chock-full of excitement, but excitement that has secret depth and some important themes about why we should value free-flowing information and ideas. The relationships are complex and no character seems off-bounds for disaster. I've already been shocked a few times, both by current actions and about revelations from the past. I don't know how long this series is going to be but I'm a bit bummed that this second book JUST came out because I'm dying to know what is going to happen next! I had a lot of fun reading these books too! I can't wait to see what happens in the last one. So is it a trilogy? I looked for that info but couldn't find it. I bet the third book will be crazy then! You had me at library. :) PS, have you read The Invisible Library? Aw damn I didn't realize the second one was out too! I should have picked it up at the library when I had the chance -- bother bother bother! And now it is TOO LATE. Anyway, I picked up Ink and Bone at the library on your recommendation, and I've placed a hold on the second one on Overdrive. It sounds wondrous. I should have said something! You're definitely going to want to keep reading after the first one.